CCL Container is the leading North American Aerosol Can Manufacturer. 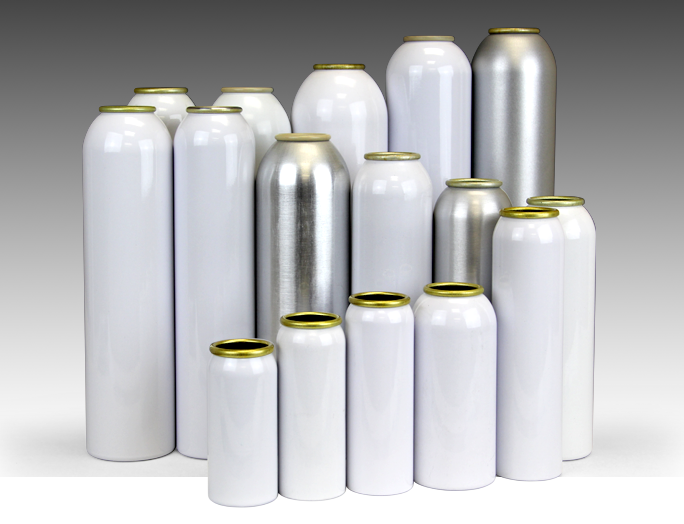 We specialize in impact-extruded aluminum aerosol cans and offer a complete range of sizes, shapes, styles and neck configurations. Our manufacturing operations use the most advanced processing systems in the industry today. Aluminum aerosol cans operations incorporate electronic synchronization technology in all critical phases of production. State-of-the-art manufacturing lines produce finished containers at rates of over 200 units per minute. Computerized multi-color in-line printing, color control, wall ironing and other critical functions yield aerosol packaging containers of superior quality and uniformity. Advanced in-line lithography offers a full spectrum of colors and dramatic design effects for aluminum cans and packaging. A wide range of specialized, eye-catching decorating capabilities include brushed aluminum, halftones, metallic, high-gloss, day-glo, matte and soft touch finishes, in addition to dramatic embossed and textured designs. CCL offers an extensive range of aluminum aerosol container sizes in diameters from 35mm to 76mm, and heights from 70mm to 265mm. CCL aluminum containers can be lined with a variety of coatings that extend product life and preserve the integrity of the contents. This includes canned fruits, vegetables and drinks like soda, juice and beer. CCL offers a variety of internal liners for compatibility with a broad range of aerosol and beverage products.These include Polyamide imid(PAM) liners, Epoxy Phenolic(EP) liners, and liners compatible for beverage. In development are also BPA NI liners and alternatives to PAM. CCL also supplies specialty piston containers for dispensing more viscous materials and Bag on Valve containers with milled curls that are compatible with BOV systems. Contact your CCL sales person or request samples for compatibility testing.